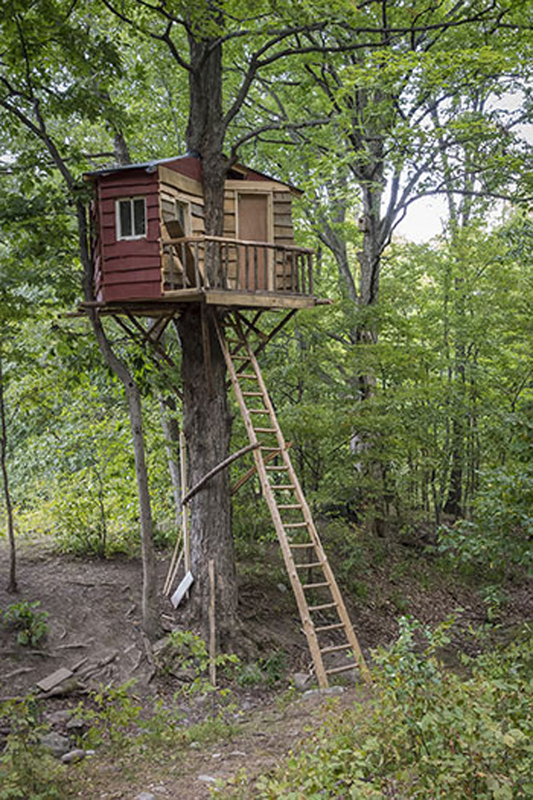 At first sight the design of this treehouse is really simple, a tiny treehouse on a one trunk tree. But look at it properly! From the trunk two elements, like two arms, support the wooden ladder. The treehouse supported by a platform is perfectly in the middle of the trunk, and the trunk breaks, interrupting the facade and goes out from the roof. It’s like if the treehouse got stuck in the trunk and has to stay forever.